Thanks so much for these. I particularly like the little bird on the branch and will enjoy playing with these and the papers – a welcome change from all things Christmassy! *margie: Yes, isn’t it cute? I love lineart. Thank you so much for this post. I want to let you know that I posted a link to your blog in CBH Digital Scrapbooking Freebies, under the Page 3 post on Nov. 29, 2010. Thanks again. Your elements are fabulous! I especially like the bird on the branch and the moth. Many thanks for both parts of your gorgeous kit. *txgwen: I’m glad you like them! Thanks for the lovely compliment. How can I get the papers. It seems I am a day late? Great kit! 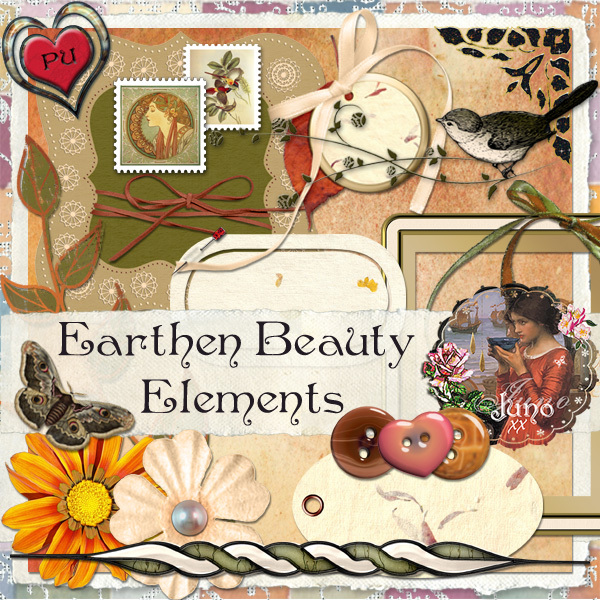 The elements are gorgeous!!! Thanks!! *jayleigh: Glad you like them. thank you, love the bird and corner element! So generous with your remarkable talent. Thank you for your lovely, kind words, redjanfan. Thanks My Juno, Yes! It is a change from all the Christmas that I ‘ve been downloading. Lord knows I really don;t need more just to do my Grandbabies scrapbooks, he knows I have enough! but, it;s additive! I don’t want to miss anything! This is a beautiful kit! I love it all 0( papers and elements) Love Ya! Thanks, lilcajunett! It was a pleasure working with such rich colours. My pleasure, dear Lilette! I see that you have spent your snowed-in time making a lovely Travel Journal. I’m sure your DIL will love it 🙂 I’ve added falling snow to my blog because it is falling here in Ireland! Not what we are used to. Such lovely kits, thank-you for sharing them!